See also the About Us page. Or see the Frequently Asked Questions page. World Chronology of Historical Events. Julius Caesar established Florence (Florentia), the temporal origin of the Imperial Patriarchate, as a town and camp for legionary veterans. Julius Caesar, Charlemagne, King Boso d'Arles of Lower Burgundy, and Pope Leo X are considered the founders of what is modernly known as the Imperial Patriarchate. Florence's first pagan patron was Mars, due to its military heritage. After Christianisation, the celestial Patron of Florence became Saint John the Baptist. It is from the patronage of St. John the Baptist that the use of the 8-pointed St. John cross in the Patriarhate, particularly in the Royal Order of St. Stephen, the Sacred Order of Mary Immaculate, the Order of Merit, and the Florentine Service Order, derives. In 48 BC, he founded the Ninth Spanish Legion (Legio IX Hispana), of which the Imperial Patriarchate's Most Honourable Legion of the Eagle is the modern successor. Caesar Augustus reactivates the Ninth Spanish Legion (Legio IX Hispana). 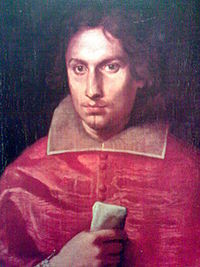 The diocese of Florence is founded. Saint Zenobius, from a noble Florentine family, is traditionally considered the first Bishop of Florence (337 – 417). Pope Saint Gregory the Great chooses Saint Augustine of Canterbury to lead a mission to Christianize English pagans. Saint Augustine of Canterbury, first Archbishop of Canterbury, arrives in England to begin his mission. He is consecrated Bishop and establishes the Catholic Church of England. Saint Willibrord is consecrated Bishop at Rome by Pope Sergius I and made Apostle to the Netherlands. The See of Utrecht is established. The sovereign Margraviate of Tuscany in the Holy Roman Empire is established by Charlemagne. (Charlemagne, Julius Caesar, King Boso d'Arles of Lower Burgundy, Vice King of Italy, and Pope Leo X are considered the founders of what is modernly known as the Imperial Patriarchate.) Boniface I of Lucca becomes the first Margrave. Support of the Margrave of Tuscany soon became essential for candidates for the title of King of Italy, and the Margraves were sometimes members of the King's immediate family. King Boso d'Arles of Lower Burgundy was named Governor and the first Vice King of Italy by the Holy Roman Emperor. As the ancestor of Matilda, Vice Queen of Italy, he is considered, along with Julius Caesar, Charlemagne, and Pope Leo X, a founder of Imperial Patriarchate. Matilda, Margravine of Tuscany (also known as "the Great Countess") successfully led an Army to defeat the Imperial Army threatening the Papacy and, with the assistance of French forces, restored Pope Urban II to Rome. Upon her death, she left her territorial possessions to the Roman Church. They are held in custody today by the Patriarchate of Saint Stephen as her temporal successor. The See of Utrecht is granted autonomy by Blessed Pope Eugene III. The privileges of Utrecht are confirmed by the Fourth Lateran Council. Giovanni Cardinal de' Medici (the future Pope Leo X) becomes head of the House of Medici and of the Florentine Republic upon the death of his brother, Piero de' Medici. He remained Lord of Florence until the beginning of his papacy in 1513, at which time rule of Florence passed to his younger brother. Today the Patriarch of St. Stephen is the successor to Pope Leo X as Cardinal Prince of Florence. Leo X, as well as Julius Caesar, Charlemagne, and King Boso d'Arles of Lower Burgundy are considered the founders of what is moderately known as the Imperial Patriarchate. Pope Leo X is specifically considered the father of unification of the temporal and spiritual patrimony of the Patriarchate. Pope Leo X confirmed the privilege of the Church of Florence to elect its own clergy. Pope Leo X confirmed the autonomy, which becomes known as Leonine Privilege. Hadrian VI, from the See of Utrecht, is elected Pope. 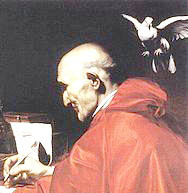 Antonio Cardinal Barberini, nephew of Pope Urban VIII, was consecrated bishop, having previously been appointed Cardinal in 1628. 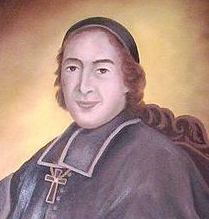 Charles Maurice Letellier, son of the Grand Chancellor of France, Archbishop of Reims, is consecrated Bishop by Cardinal Barberini. 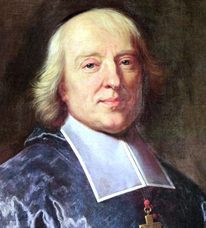 Jacques Benigne Bossuet, Bishop of Meaux, is consecrated by Archbishop Letellier. 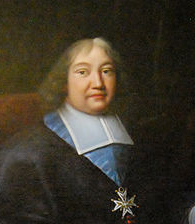 Jacques Goyon de Matignon, Bishop of Condom, is consecrated by Bishop Bossuet. Archbishop Codde of Utrecht is accused falsely of the Jansenist heresy. He is cleared by the Pope's commission, but the effects of this laid the foundation for conflict that persists to this day. Bishop Dominique-Marie Varlet, Roman Catholic Titular Bishop of Ascalon, consecrated by Bishop de Matignon, consecrates Peter John Meindaerts to the vacant See of Utrecht. The name of Old Roman Catholic Church of Holland was used. Prior to this point, the Old Roman Catholic and Roman Communion successions were held in common. Archbishop Meindaerts and the Second Utrecht Council issues statements in favor of orthodoxy of Faith and of respect for the Holy See. The "Old Catholic" movement (as distinct from Old Roman Catholicism) started in opposition to Papal Infallibility and the First Vatican Council. This movement would eventually overwhelm Utrecht. Declaration of Utrecht issued by the Old Catholic movement in opposition to Papal Infallibility, and the "Utrecht Union" solidified as a movement again Rome. This was a grave matter of concern for Old Roman Catholics, whose traditions continued the ancient traditions of the See of Utrecht regarding the primacy of the Pope. 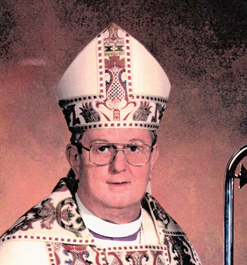 Arnold Harris Mathew, a Roman Catholic, was consecrated to the episcopate by Archbishop Geraldus Gul, Archbishop of Utrecht and served as Archbishop for the Old Roman Catholic Church in Great Britain and Ireland. Due to the influence on Utrecht of the "Old Catholics", Archbishop Mathew separated from the Utrecht Union to preserve the orthodoxy of the Catholic Faith within Old Roman Catholicism. 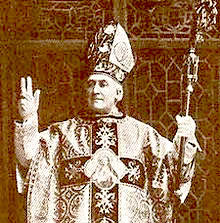 Archbishop Rudolph Prince de Landas-Berghes, having been consecrated by Archbishop Mathew the year before, came to the United States to lead the Old Roman Catholic Church Diocese in the United States. 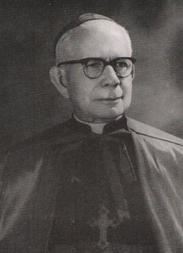 Bishop Salomão Barbosa Ferraz received into the Roman Communion by Pope John XXIII (without sub-conditional consecration) while still married and appointed Titular Bishop of Eleutherna and Auxiliary Bishop of Rio de Janiero. Pope Paul VI recognizes the Catholic status of the See of Utrecht. The Diocese of the Southwest is formed as part of the conservative Anglican movement. Following a schism, the Diocese of the Southwest enters into the fullness of the Catholic Faith through Old Roman Catholicism. Diocese of the Southwest was elevated to Metropolitan Archdiocese. The Metropolitan See of the Southwest is granted autonomy. The Archdiocese of the Southwest, having previously been consecrated to Saint Stephen, Deacon and Protomartyr, becomes the See of Saint Stephen and Patriarchal See of the Old Holy Roman Church of the English Rite (Anglican Rite Roman Catholic Church), being an autonomous and semi-autocephalous successor to both the Anglican Rite and Imperial Old Roman Catholic traditions (Holy Roman Empire) and the Legacy of Pope Leo X in Rome, Florence, and England.